Gas Vs Wood Fireplaces: Which is Better for Your Home? Adding a fireplace is a surefire way to improve the look and feel of any room in your home – they provide warmth while becoming the centerpiece. However, many homeowners struggle with one major decision: gas vs wood fireplaces. There are many differences between gas and wood fireplaces that you may not know. This will make deciding between the two much harder and you might not get what you want. In this article, we’ll show you the benefits of both styles so you can decide once and for all – which is better for your home: gas vs wood fireplaces. Gas fireplaces are a great option for your Chicago home. They provide warmth while being easy to use and require low maintenance. We’ll go over those and many other benefits in greater detail below. Between the two options, gas fireplaces are much easier to use. With the simple push of a button, your fireplace is started. There’s no hassles, chopping wood or trying to get it to ignite. Some gas fireplaces even come with a remote control so you can start your fireplace from anywhere in the room. This makes it much easier for children to use without getting hurt because they don’t need to be anywhere near your fireplace. While they’re not created by burning logs, gas fireplaces’ fires look extremely real. Ceramic gas logs are hand painted to look like real wood. The beauty gap between wood and gas fireplaces is a thing of the past. If you’re looking for the lower maintenance option in gas vs wood fireplaces, gas is the obvious choice. Gas log fireplaces aren’t burning real logs so you don’t have to worry about cleaning up ash after each and every burn. Plus, since you aren’t burning real wood, there will be less soot and creosote lining the walls of your chimney. That means you won’t have to get your chimney swept as often. However, don’t think you wont need your chimney swept ever. Gas is just a cleaner burn so you won’t have to as frequently. Another thing you need to consider is how you’re going to get wood for a wood burning fireplace. Logs are expensive and you can burn through them quickly. If you don’t want to buy logs, chopping down trees is hard work. There’s no easy, cheap way to get wood for your fireplace. When real wood burns, chunks crack and fall off creating crackles and pops. When the fire pops, there’s bound to be sparks that fly off. If you don’t have a fireplace glass door, there’s a chance anything near your fireplace can catch fire. This isn’t a problem you need to worry about with gas log fireplaces. Since there are no real logs, you aren’t creating ashes or sparks. It’s much safer especially if you have rugs or carpeting in the area. Many homeowners think they need a chimney to have a fireplace in their home. That just isn’t the case with gas fireplaces. Many of them have venting systems which allows the smoke to funnel out of your home without having a chimney. 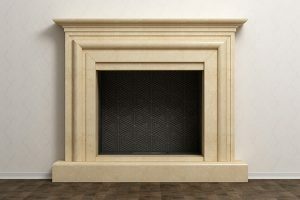 There are even ventless fireplaces that don’t require a vent or chimney to use. Don’t worry, they’re safe and are powered by natural gas, propane or gel. One of the benefits of a gas fireplace is that your home is more energy efficient. This is because 25% more heat is kept in your home and you aren’t relying so heavily on your heater to keep your home comfortable. This will help you save money your energy bills. Plus, gas burns cleaner and more efficiently than wood. 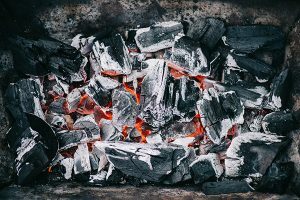 The reason your home retains 25% more heat with a gas fireplace is because 99% of the heat created by your fireplace doesn’t escape through the chimney. A wood fireplace is usually between 60%-80% heat retention so there’s a dramatic difference with a gas fireplace. Overall, you’ll have a consistent heat source unlike wood fireplaces. Every time you use your gas fireplace, you’re ensured about 8 hours of heat. It’s the perfect way to get you through the harsh Chicago weather. Don’t think that there aren’t any benefits to a wood fireplace. They offer a lot to Chicago homeowners that you can’t get with other fireplace styles. We’ll go over the benefits of wood fireplaces below. Wood burning fireplaces are real fires made by real wood. There’s a certain look and feel to a wood fire that you won’t get with gas or electric fireplaces. Not only does it look better, but there are also certain smells and sounds associated with wood fireplaces. You don’t get the snapping, cracking or popping with gas fireplaces. Plus, the smell of pine or other Earthy scents will make the room more comfortable. 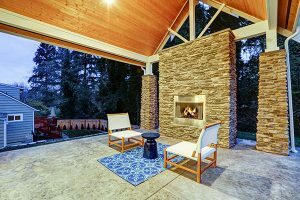 Gas and electric fireplaces are reliant on more than just the fireplace itself. You’ll need a gas line in order to even get a gas log fireplace and you can’t use electric fireplaces if the power goes out. Since wood fireplaces are real fires and only require wood, they’re not dependent on another source of energy. This means you can use them no matter the situation. All you need to do is get some wood and light it on fire. There’s an aura of elegance and romance associated with wood burning fireplaces. The sounds of crackling and popping are relaxing and will help comfort you. Plus, you’ll impress guests with your beautiful wood fireplace. When they’re lit, there’s nothing quite like them. You simply can’t beat a real fire on a cold winter night in Chicago. In order to use gas and electric fireplaces, you need to use some form of energy. Whether it’s gas or electricity, you’ll end up paying more on your bills just to use them. You can’t say the same for wood burning fireplaces. Since wood fireplaces aren’t dependent on any for of energy, you won’t have to spend money in order to use them. You can heat an entire room without worrying about how much it’s going to cost you. Wood burning fireplaces offer many wood options for homeowners. Believe it or not, it can determine the length of the fire and the warmth you feel. In fact, there are even aromatic logs that can create a scent in your home. 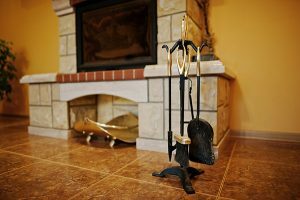 Gas vs Wood Fireplaces: Which Is the Better Choice? When it comes down to gas vs wood fireplaces, the answer isn’t easy. One isn’t necessarily better than the other – it mostly depends on what you’re looking for from your fireplace. Do you want elegance and energy independence or a low maintenance, clean burning option? No matter if you want gas or wood fireplaces, Early Times offers both options to you. We’re Chicago’s fireplace and chimney experts. We’ve been helping homeowners with their fireplace problems and remodeling for over 30 years. Get a free quote now and see why thousands of homeowners have trusted us.